The thermoIMAGER TIM 400, TIM 450 and TIM 640 cameras are used for stationary thermography tasks where high resolution is required. Due to their high thermal sensitivity, these cameras also detect even the smallest of temperature differences. Both standard lenses and special microscope lenses are available for the TIM 450 and TIM 640 cameras. The microscope lens enables detailed macro shooting of the smallest of elements. High-resolution macro shooting is possible with a spatial resolution of 28 µm. The distance between the target and the camera varies between 80 mm and 100 mm. 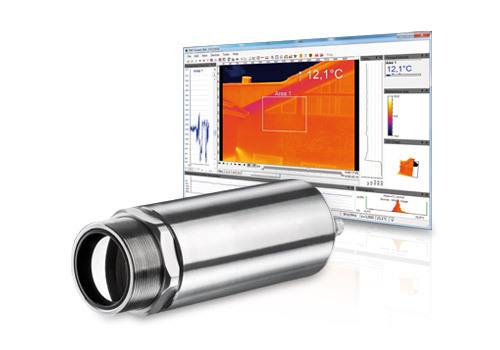 The new infrared cameras thermoIMAGER TIM 400 and TIM 450 offer extremely high optical resolution of 382x288 pixels. The produce images offering high resolution and are ideal for very small objects which could hardly be detected using common cameras. The maximum thermal sensitivity of 80mK or 40mK allows detecting all temperature differences reliably. However, the camera remains very small and flexible in its application offering an enormous temperature range of -20°C up to 1500°C. The thermoIMAGER TIM 640 infrared camera is the smallest VGA-resolution thermal imaging camera in the world, providing thermal images in real time due to its optical resolution of 640 x 480 pixels. With dimensions of 46x56x90mm and weighing just 320g (incl. 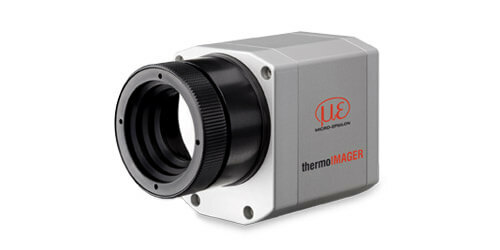 optics), the thermoIMAGER TIM 640 is one of the most compact thermal imaging cameras on the market. The scope of supply includes the extensive TIM Connect analysis software.